The freeze-thaw combination we experience during winter creates ice dams that will send water down interior walls of your home when it melts. An ice dam is a ridge of ice that forms at the edge of a roof and prevents melting snow from draining off the roof. The water that backs up behind the dam can leak into a home and cause damage to walls, ceilings, insulation etc. 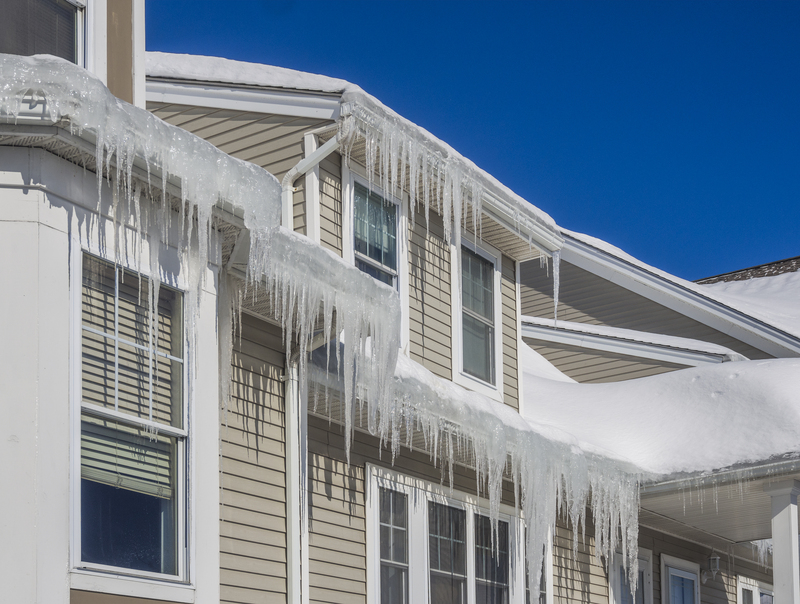 A key indication that there is an ice dam problem is the appearance of large icicles hanging from the roof's edge. Ice dams can be prevented by controlling the heat loss from the home. Remove snow from the roof. You will need a "roof rake" to remove the snow. (View video for demonstration) A push broom can be used as well, but may damage the roofing materials. Interior damage should not be repaired until ceilings and walls are dry. In addition, interior repair should be done together with correcting the heat loss problem that created the ice dam or the damage will occur again. Wisconsin residents, watch the video below or contact knowledgebroker, Dan Wolfgram for more information and more ways to prevent ice dams!